One part of this society has every interest in continuing to rule, the other in it all collapsing as soon as possible. Deciding which side one is on is the first step. But resignation, the basis of agreement between the parts (improvers of the existent and its false critics) is everywhere, even in our own lives—the authentic place of the social war—in our desires and resoluteness, just as in our little daily submissions. 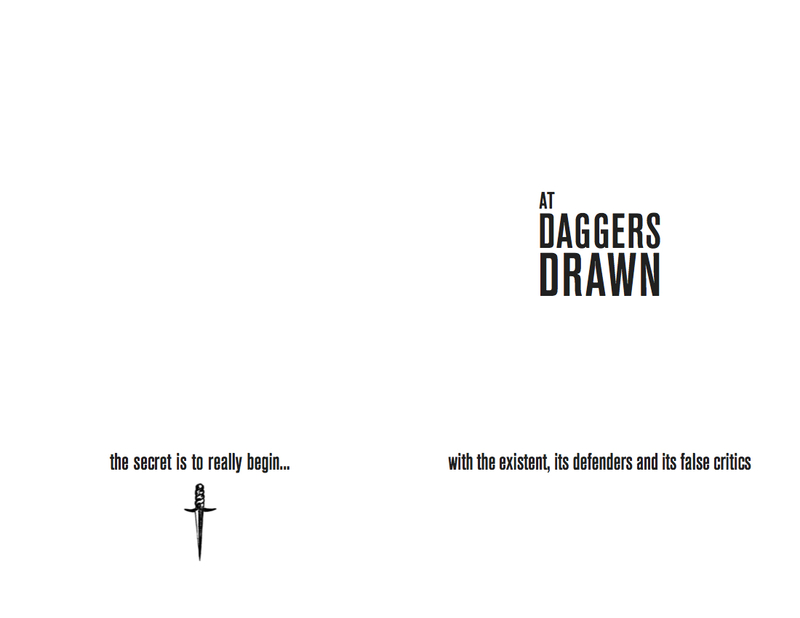 With all this it is necessary to draw daggers, to finally draw daggers with life.